High School GATE Perth exams continue to grow in their competitiveness and the standards are raised every year. With over 4000 students sitting the exam in 2016 it is more important than ever to thoroughly prepare in order to be in with a chance of being offered a place. What does My Academy’s High School GATE tuition offer? The majority of places on the extension courses are taken by the Year 6 students entering in Year 7. The number of places for higher years is dependent on the changing numbers within the schools. This makes it even harder to gain a place in Years 8, 10 and 11. At My Academy we are proud to state that we have helped many high school students claim these coveted places. Our experienced High School GATE Perth tutors are very familiar with the exam layout and how to best improve skills to gain those extra marks that can be the difference between being offered a place and not being offered a place. They will work through exam strategies as well as the skills needed for all sections of the exam. The High School GATE Perth tutors have helped students to improve their Writing, Maths, Science and Abstract Reasoning to the level required to gain entrance. 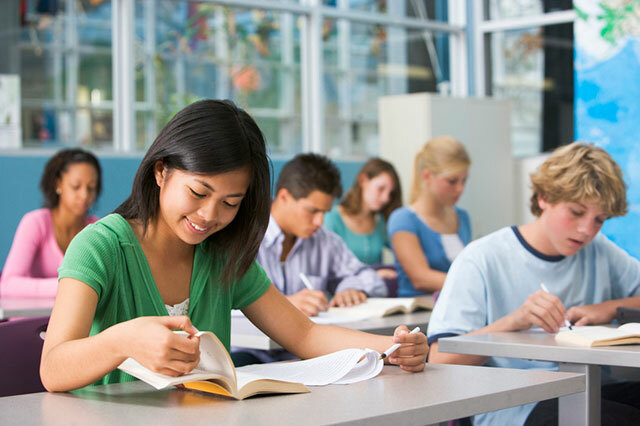 The High School GATE Perth tutors use a range of writing stimulus’ and Maths problems so that the students can feel truly prepared for anything they are given on the exam day. The students will also experience a range of Abstract Reasoning materials so that they are able to answer these questions at speed and with accuracy. We only offer one on one tuition or paired tuition for high school students as our GATE tutors have found that often the students have very individualised needs by this point in their schooling. The My Academy accredited tutors pride themselves on helping students enter the exams confidently and feeling that that have prepared properly.